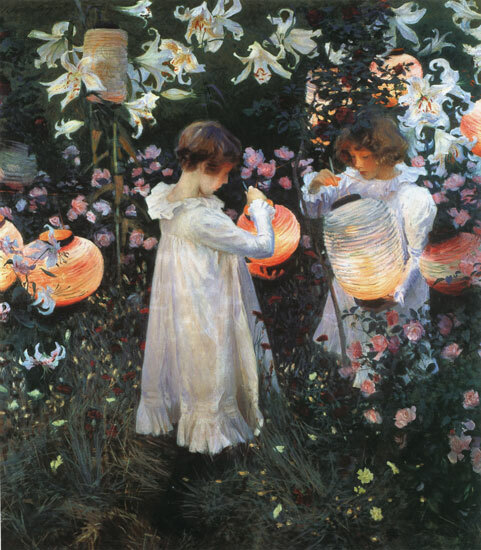 John Singer Sargent was an American painter (January 12, 1856 – April 14, 1925) and a keen observer of life. I first came across Sargent while I was researching Spanish Dancers for a project. Singer's keen eye amazingly breaks down complex visuals to simple pools of colour without breaking the illusion. They are startlingly lifelike. The technique was to work on neutral ground (grey newsprint or some sort of tinted paper) sketch with charcoal or graphite and work on the highlights by removing excess charcoal / graphite with bread. (Kneaded into a tight eraser-like ball.) White chalk was also used to bring in a 3rd colour thereby completing the monochrome spectrum. Thanks Jeevan. Very pretty painting!